2019 is right around the corner. Let's take the time to prepare for our best year yet! This is a 3-hour working session on Saturday, not a lecture. Be prepared to work, think, plan, ask questions and get feedback. We'll have the tools, time and space to create a workable plan for the coming year. You know what they say: Planning is good, but doing is better. But it is tough to get into action when you don't know what to do, isn't it? 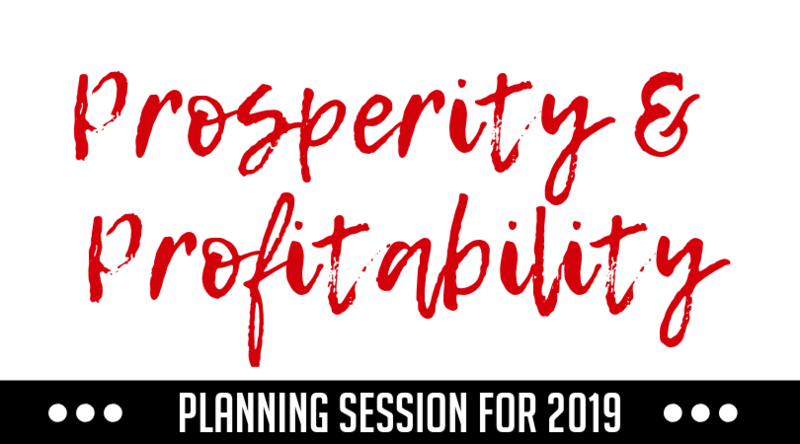 So if you are tired of spinning your wheels and not making progress, come to this short but powerful planning session so you can hit the ground running in January. Can you believe there is still one more Marketing Coaching call in November? How cool is that?! Join me on Thursday at 1 PM Pacific to get your laser coaching session. You'll be inspired by other members, get feedback, advice, or whatever you need during your time. And you'll leave feeling more confident and optimistic. Really.